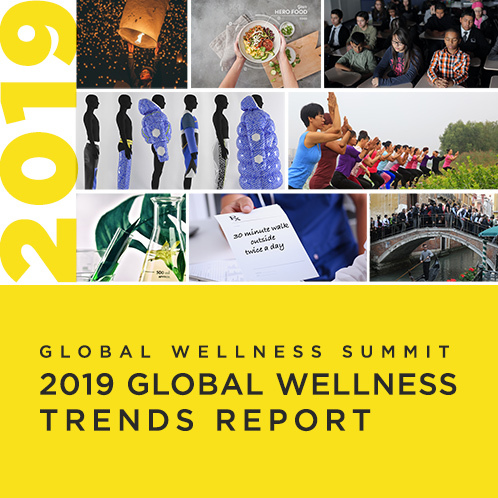 Miami, FL – August 22, 2018 – The Global Wellness Summit (GWS), the foremost gathering of international leaders in the $3.7 trillion global wellness economy, today announced that researchers Jessica Smith and Rhiannon McGregor from LS:N Global, the trends intelligence platform of the The Future Laboratory, will keynote at the conference taking place October 6-8 at Technogym Village in Cesena, Italy. The Future Laboratory, with offices in London, Melbourne and New York, is one of the world’s leading strategic forecasting firms, identifying the disruptive trends that will shape the future of consumer behavior and the lifestyle industries—with a focus on the beauty, wellness, fashion, food/drink, luxury, travel/hospitality and youth markets. Smith (Creative Researcher) and McGregor (Foresight Writer) will share the firm’s new research on the biggest trends on the horizon for the massive $1 trillion global beauty market. While the attention has been on all-natural or “clean” beauty, a competing trend is on the rise. As beauty technologies become far more popular, social media, artificial intelligence and algorithms are shaping a new ideal of flawlessness. This macro-trend, “Algorithmic Beauty”, means that beauty is no longer simply in the eye of the beholder, but in the eye of a machine learning algorithm instead—with beauty standards shifting from subjective to objective ideals. Smith and McGregor will analyze the diverse aspects and opportunities within the Algorithmic Beauty trend: from how facial recognition technology will change the face of beauty to the rise of artificial-intelligence-driven devices that can assess our faces and create a personalized feedback loop between products and a person’s skin to how the next generation of non-invasive procedures will be rooted in nanotechnology to a simultaneous backlash against “objective beauty” mounting in some corners. Jessica Smith is Creative Researcher at LS:N Global, the editorial platform of The Future Laboratory, which she joined in 2014 after completing a Masters degree in Trend Forecasting at the Polimoda Institute of Design and Marketing in Florence. Since working at LS:N Global she has become the editorial expert across the health, wellbeing and beauty sectors and has spoken at events such as Balance Festival in London and last year’s Global Wellness Summit. Formerly, she was a Marketing Executive at Telegraph Events working on health and fitness consumer shows such as the Be:Fit, The Ski and Snowboard Show and The London Bike Show. At The Future Laboratory, she has worked on projects for clients such as Nike, lululemon, Nikon, Royal Salute and QIC, written for Frame Magazine and been featured as an expert in The Sunday Times, The Independent, Drapers, BW Confidential, Elle, Stylist and Condé Nast Traveller. Rhiannon McGregor is Foresight Writer at LS:N Global, specializing in trends and consumer insight across the site’s lifestyle sectors, with particular expertise in health and wellness, youth culture, travel and the rapidly growing fintech sector. Since starting at The Future Laboratory in 2016, she has worked on projects with brands including Vans, NatWest, Unum and QIC; as well as being interviewed as an expert for the Guardian and Grazia Online. Rhiannon has a Bachelor of Arts from Leeds University, spending her Erasmus year studying at the Polytecnico di Torino. After interning at Pelham Communications Art Agency she completed a Master’s degree in Magazine Journalism at City University and has written for publications like Disegno, Wallpaper*, Jocks & Nerds and Aesthetica. The Global Wellness Summit is the world’s most prestigious conference on the business of wellness and always a sold-out event. To apply to attend, click here.